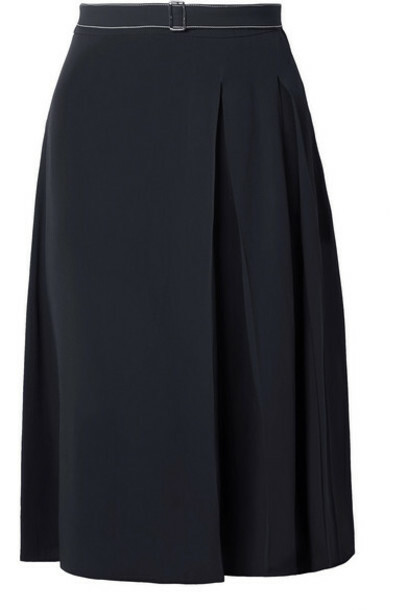 Marni's skirt has been made in Italy from smooth crepe and pleated through the front. The belted waistband is detailed with contrasting white stitching and a discreet silver buckle. The navy hue gives you freedom to choose more colorful tops, shoes and bags.